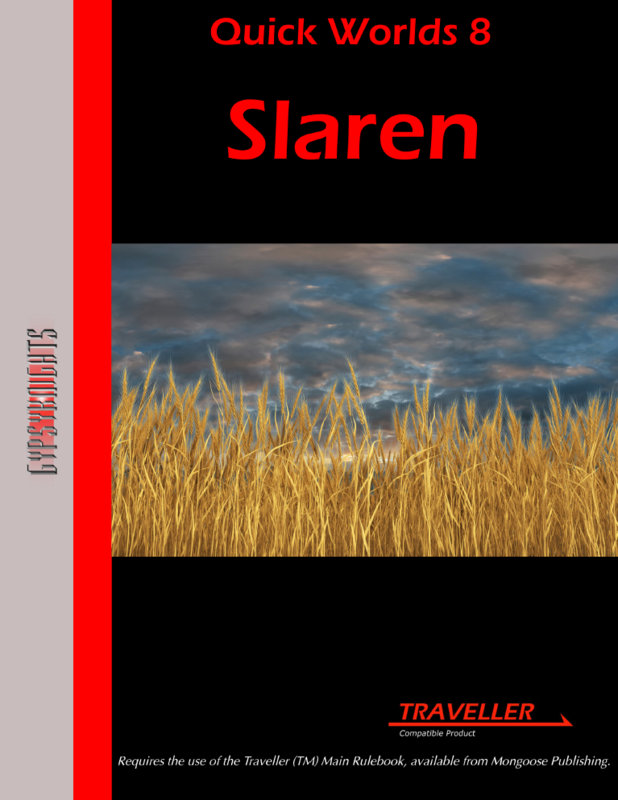 Quick Worlds 8: Slaren. John Watts, Kevin Smith, Greg Seaborn. Quick Worlds 9: Tlix. John Watts, Kevin Smith, Greg Seaborn. 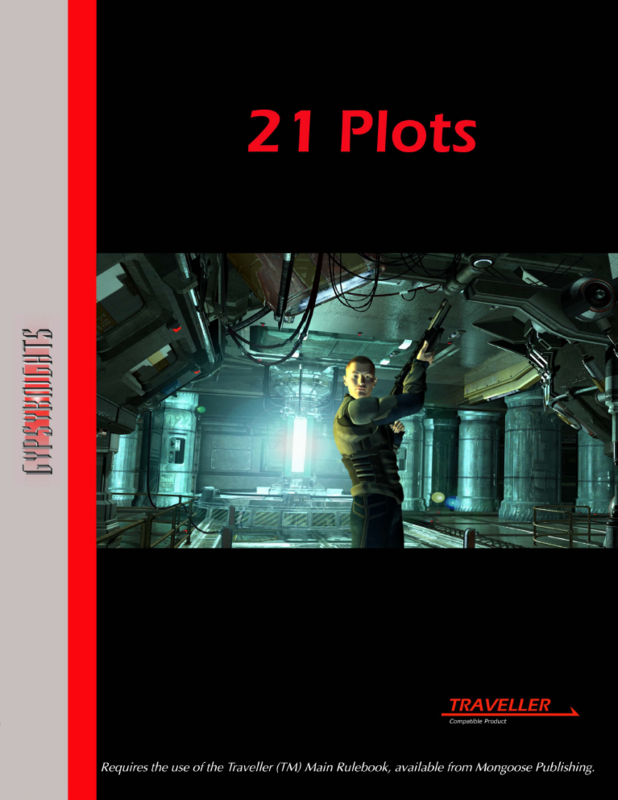 21 Plots. John Watts, Wendy Watts, Larry Guffey, Tony Hicks. Career Track 1: Medic. John Watts, Wendy Watts. Allow me, first and foremost, to thank the owner/publisher (John Watts of Gypsy Knight Games) for gifting a copy of these PDFs for the purposes of this review. Thank you very much. All these products are very short referee’s aids for the Traveller RPG currently in its Mongoose incarnation. They are light on the wallet but heavy in content. They undoubtedly will form parts of a larger work to be hopefully printed in hard copy format or at the very least form appendixes for an adventure. This is not to say that these are incomplete but there is a feeling of wanting more. As a start-up company, they reflect a certain embryonic freshness that has not been seen in Traveller in a while. It is a rather a sense of whimsy combined with a deadly seriousness in their approach thus I would equate them with British Isles Traveller Support (BITS) but on a much smaller scale. As one can see that their page count is on the low side especially when you consider that two pages of the pagination includes the OGL and the Quick Worlds series has full page art illustrating the different worlds. However, what you are all interested in is content. I must say that I approach this with trepidation—the content is very well done and sometimes feels more Traveller (or OTU) than even some of the releases of Mongoose; however, (a big disclaimer) these are not OTU; they are setting-independent—not even taking refuge in the Foreven Sector. Therefore, any Referee in need of one-shot Traveller experiences need go no further than looking at these products—but, again, there is the feeling of underdevelopment and wanting more. Take (for instance) the Quick Worlds series (Quick Worlds 8: Slaren and Quick Worlds 9: Tlix) that have beautifully rendered CGI worlds that all look relatively the same. Still, it is vast improvement over just using images from our own Solar System and tinting the planet a different shade. I don’t know what software exists out there on the market but surely we must be able to still create different worlds from UWP data. The author I know has predilection for Gas Giants with rings which is fine but nowhere in the stats box do you figure out that it is ringed. Missing are the UWPs and stellar types for the system beyond the mainworld. Having a system summary side-by-side a representation of the whole system highlighting the different orbits along with the distance from the main star along with any companion stars noted would be an invaluable addition. The worlds themselves are varied – what the publisher gifted me clearly were the worlds of play and work. One of these worlds is a world dominated by a brewing conglomerate and the other a once corporate world that has internalized work norms into their culture. These worlds are nicely fleshed out and do create nice segues for adventure. However, the absence of seeds requires the referee read the whole description in order to generate an adventure. Which I think is the right approach as it discourages a cookie cutter approach to world design. A little bit more troubling are the usage of miles and kilometres rather than the preferred use of Astronomical Units (AU). I wonder if the writer has seen the DGP World Builders Handbook or Grand Survey and Grand Census – for these offer much in the way of being able to flesh out these worlds. So even if you do not use the forms contained within there is lots of good ideas that would be the basis of the skeleton, in which your excellent histories could form the meat. 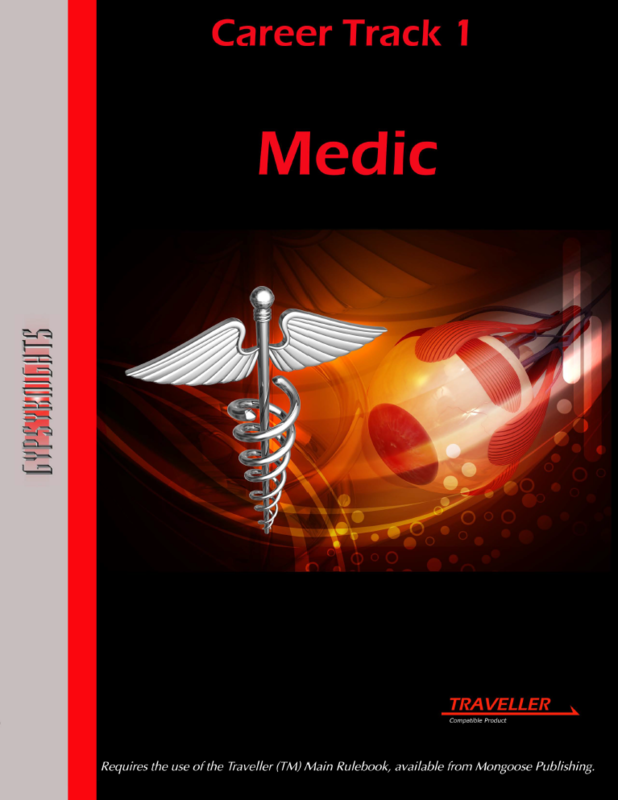 Career Track 1: Medic is perhaps the weakest offering but in some ways the most useful. I speculate it comes from the D&D tradition of yelling: “Cleric!! @$#$! !” which has its counterpart in Traveller with yelling: “Medic!! @$#$! !” Having a Medic in the party or at hand does save a lot of damage. 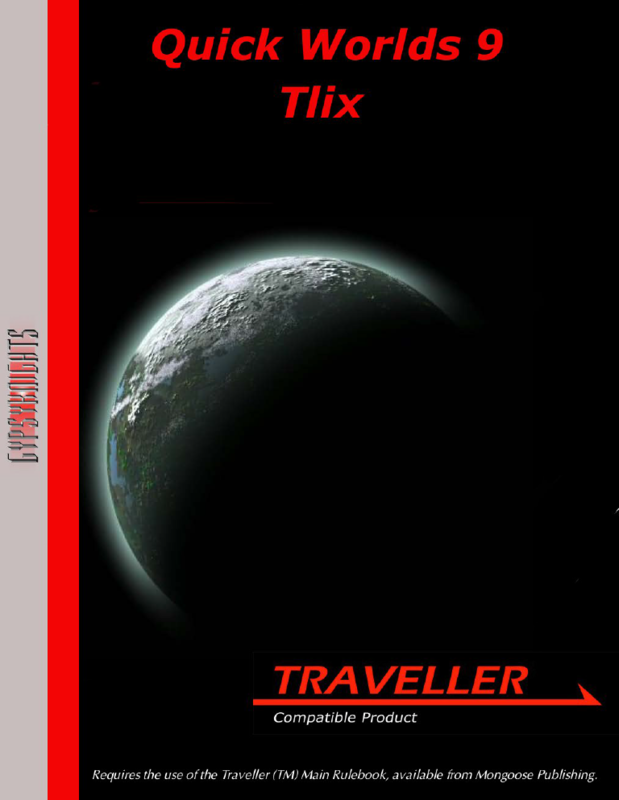 But, Traveller is not “D&D in Space”; it can be played that way, but then it loses some of its grit and shades of grey. For Traveller is much like the original Alien movie (with/without the Alien), a bunch of ordinary joes/sallys forced together by circumstance and comradeship fighting to make ends meet in uncaring universe. Now, Mongoose Traveller has come around and changed some of that by providing more background for the player-character, so that they are more than a bunch of stats and speciality can occur much more effortlessly than it had in previous incarnations. It is against this background that I review Medic. So, Medic is a welcome addition to the Mongoose Traveller corpus but it still feels incomplete without a full fledged Search-and-Rescue (SAR) adventure/campaign to accompany it. So, while it will form the basis of a Careers book, Spica Publishing has two excellent ones. So finding a way to incorporate more careers seems to be part of the careers inflation that Mongoose has engendered – forgetting that basic premise that most players are playing retirees from the careers and are striking it out on their own and DIY/DIFY whilst getting enough credit to move on. So, while not a bad product it shows the way for a SAR adventure or gives the basis for adding a Cleric, I mean, Medic to the party but why not just someone with high enough Medical skill, as was always done in the past? In conclusion, I do look forward to future offerings by Gypsy Knights Games but more when they do go hardcopy as these individual PDFs feel incomplete. The artwork is on the whole good but not cutting edge or excellent, it is computer art. There are flaws as noted in each synopsis but the effort is really first class. One thing that I do notice about this company is a commitment to continuous product improvement. So, hopefully, my reviews will encourage people to buy the things that tickle them but a finalized product will require general revision. If possible the authors should look beyond Mongoose Traveller and find inspiration there. Spica Publishing has done some work; perhaps, collaboration might be in order. One of the many problems with an OGL is that many things get churned out that are fantastic ideas but don’t get beyond that – notwithstanding, I am happy to report that Gypsy Knights Games is not one of those companies. Gypsy Knights Games seems to be producing in a tiny niche and while they do need improvement – namely in the area of tying loose threads together, it is more of the art of creating a tapestry being done here and to focus upon just one product/thread misses the masterpiece that is being slowly unveiled – I am waiting to see the masterpiece.